Proper management and client satisfaction is one area which most courier service and parcel delivery service providers struggle with. Service providers in the area of courier services and parcel delivery are entrusted with ensuring that a package gets to a specific destination within a specific time range. The entire business of courier service and parcel delivery thrives on the fact that parcels are delivered at the right time with real-time feedback when that is not possible. GPS fleet tracking service providers ensure that courier service and parcel delivery service providers can do their jobs efficiently. At GPSNVISION, we provide the tools and services organizations that provide courier and package delivery services need to ensure proper management and customer satisfaction. Several reasons make fleet GPS tracking a necessity for courier and package delivery service providers. These reasons are highlighted below. Ultimately, fleet GPS tracking ensures higher productivity which is evident in the areas below. Clients send fragile and important documents and materials through courier services. Thus, they require regular real-time updates of the location of the vehicle with their packages. With fleet GPS tracking services, service providers can conveniently give updates on the real-time location of delivery vehicles. The confidence of customers is increased when they get such real-time updates from the courier service and package delivery service provider. Since the fleet GPS tracking is over the Internet, one can also rely on the tracking service remotely keeping track of delivery vans from miles away. 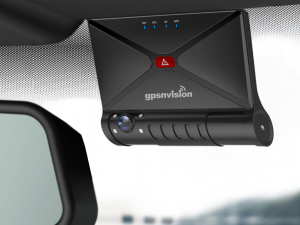 GPSNVISION fleet GPS tracking provides real-time tracking data, so one can tell where a vehicle or vehicles that are part of a fleet are at a specific time. The data that can be gotten with GPSNVISION also tell when a car is stationary thus providing more concrete evidence of a repair activity. Clients are most likely to leave courier and package delivery service providers that do not provide real-time updates for those with facilities that can track their vehicles as they go for their competitors. Clients value regular real-time updates in their packages regarding when exactly they will be delivered. GPSNVISION fleet GPS tracking provides the real-time data that ensures on-time delivery and updates on unforeseen happenings. With fleet GPS tracking, courier and package delivery services incur reduced costs. The reduced costs incurred are from various channels. Firstly, fleet GPS tracking tells the exact location of every vehicle that is part of the fleet. With that real-time data, organizations can dispatch vehicles closest to a certain location for a dispatch. With the real-time data from fleet GPS tracking, managers of fleets can also plan routes appropriately to prevent waste of resources. Several features of GPSNVISION fleet GPS tracking ensure that courier and package delivery service providers incur the most minimal expenses in their everyday activities. The real-time data feature is one of those that ensure minimal expenses. The feature allows fleet managers to tell where a certain vehicle is at every time and thus dispatch it appropriately. Also, managers can input specific routes into their vehicles with the Dispatch feature. Thus, vehicles dedicated to certain route could be distinguished and the routes preprogrammed to save extra expenses on fuel from taking alternative routes. The Geofence feature of GPSNVISION fleet GPS tracking can tell when vehicles enter, stay in and leave specific locations as directed. Managers of fleets can thus be able to monitor the time vehicles spend delivering packages in certain locations and advise drivers as necessary to reduce extra costs. With the Maintenance Alert, Ignition Event and Idle feature, GPSNVISION fleet GPS tracking also helps to reduce incurred costs. The Maintenance Alerts feature gives alerts on when scheduled maintenance should be carried out on vehicles to increase their efficiency. The Ignition Event feature tells when exactly the ignition of a vehicle was turned off and on helping to manage the activities of drivers better to reduce costs of providing services. The Idle feature tells when a vehicle is stationary with the ignition turned on, a highly wasteful act. The apps which support GPSNVISION fleet tracking are compatible with Apple and Android devices so device compatibility wouldn’t be an issue. 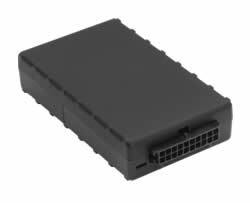 Also, GPSNVISION fleet GPS tracking cannot be manipulated or tampered with because the modem will be plugged into the vehicle. So, whenever the modem is unplugged, the connected devices will be notified. 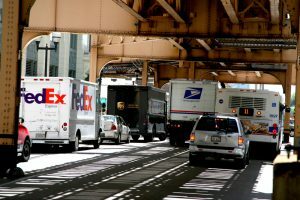 Fleet management, especially with courier and package delivery services, can be tough since the drivers are on the road without any form of direct monitoring. Thus, drivers could imbibe practices that will neither profit the organization or vehicle they drive. The lackadaisical attitude of drivers can lead to reduced client satisfaction and drive clients to competitors. GPS tracking provides a highly efficient form of direct monitoring for drivers which results in improved productivity and client satisfaction as well as reduced expenses. GPSNVISION fleet tracking includes features that provide effective direct monitoring for drivers. Fleet managers can tell when excessive stops are made with the Frequent Stops feature. The Speed Threshold, Rapid Acceleration and Harsh Braking features can also tell when drivers exceed the recommend speed limit and handle the vehicle assigned to them roughly. When unrecommended practices are noticed amongst drivers from the data gotten from the GPS tracking, drivers could be advised against such practices and sanctioned appropriately. With the scheduled reports by GPSNVISION fleet GPS tracking, managers can also make long-term plans and monitor changes in the practices of drivers over time to ensure compliance. 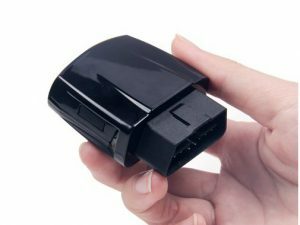 Apart from the features of the GPSNVISION fleet GPS tracking, the quality of service offered by GPSNVISION is also notable. The components of this high-quality service include quick support, flexibility of plans and affordability. Fleet GPS tracking is a relief for courier and package delivery service providers. 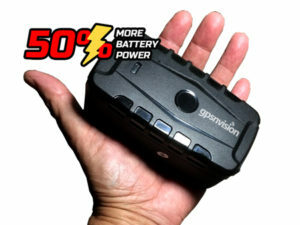 Maximizing the availability of GPSNVISION fleet GPS tracking also ensures increased productive an a higher turnover.